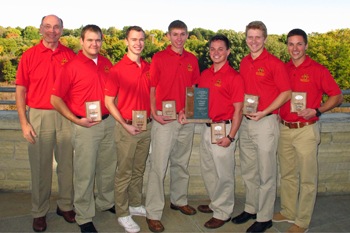 Two teams of Iowa State University construction engineering students placed first in the 21st Annual Associated Schools of Construction (ASC) Region IV Student Competition, held Oct. 24-26, 2013, in Nebraska City, Neb. Six-person teams had 18 hours to develop comprehensive proposals for a mock request for proposals (RFP). Teams then gave a 20-minute presentation to a panel of industry judges. The competition was divided into four divisions – commercial, design-build, heavy civil, and residential – representing real-world engineering challenges in construction industries. 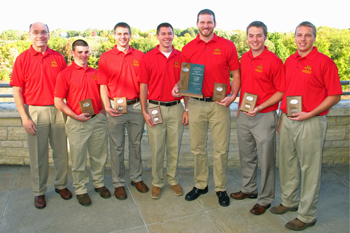 Iowa State won the commercial and residential divisions. The heavy civil team placed second, and the design-build team placed third. Thirty-one teams representing 12 universities from Iowa, Kansas, Minnesota, Missouri, Nebraska, North Dakota, and South Dakota competed. Iowa State has placed first in the ASC Region IV competition 37 times since 1994. 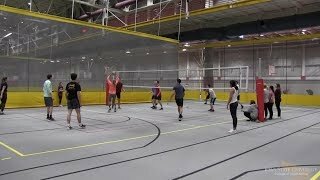 “Having only 18 hours to completely digest a project, then turn it into a winning proposal, is a pretty challenging task,” said Drew Lensch, construction engineering senior and captain of the first place residential division team. Student teams had time to prepare references and templates before competition, which was “key to accomplishing everything you want on competition day,” Lensch said. The commercial division’s mock RFP was for the Garnett, Kan., Anderson County Hospital project. The 68,000-square-foot facility included a multiphase schedule to keep the existing hospital open during construction, which presented many planning and scheduling challenges. Members of this team were senior Jacob Schaefer (team captain), senior Sawyer Stecher, senior Rob Conrad, juniors Alex Gross and Josh Tuggle, and sophomore Rick Smith. The commercial team has won nine of the last 12 years. 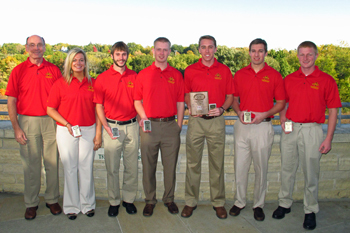 Iowa State’s construction engineering curriculum prepared students well for success. Schaefer described the application of “Homework 15” from a course in construction planning, scheduling and control (Con E 441). “Homework 15” challenges students to summarize an entire building’s construction schedule using sticky notes. “When I was trying to schedule the project myself in the competition, it blew my mind how much I relied on Homework 15,” Schaefer said. The design-build team responded to a mock RFP for the Department of Homeland Security Law Enforcement Training Center in Ogallala, Neb. The project’s design and construction was required to meet the LEED Silver certification. 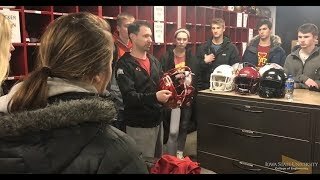 Members of this team were senior Brian Hampel (team captain), architecture senior Zach Zimay, senior Eli Hemesath, junior Sean Sample, and sophomores Noah Koch and Mackenzie Alberts. 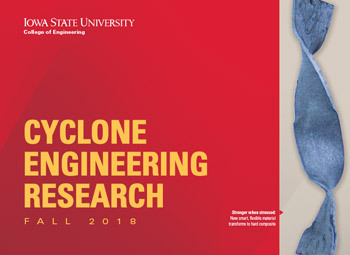 Iowa State also produced eight architectural design computer drawings and built a computer generated 3D model within the timeframe. The design-build team has placed first 14 of the last 16 years. The heavy civil team responded to a mock RFP for a project on the Pecos Street Bridge replacement in Denver, Colo. The project consisted of replacing the Pecos Street Bridge, constructing a new pedestrian bridge across I-70 with new pedestrian signals, constructing roundabouts on the north and south sides of the bridge, repaving of the existing I-70 on and off-ramps, landscaping, and replacement of the I-70 median barrier. Heavy civil team members were senior Joe Winter (team captain), senior John Meyer, junior Joel Robinson, junior Jacob Luesebrink, and sophomores Matthew Decker and Brian Noble. 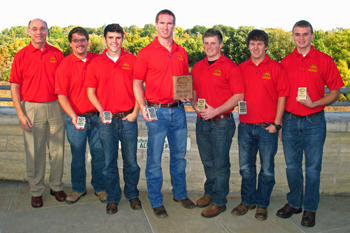 The Iowa State heavy civil team has won five of the last nine years. The residential team responded to a mock RFP for a Cedar Falls, Iowa, apartment complex near the University of Northern Iowa campus. The team proposed a project schedule of five and half months, finishing just before the start of the school year. The winning residential team members were senior Ben Swenson (team co-captain), senior Drew Lensch (team co-captain), senior Sean Heinz, senior Justin Menke, junior Eric Johnson, and sophomore Tom Devereaux. The residential division team has won six of the last seven years. Larry Cormicle (BSConE’78, MSCE’10), construction engineering senior lecturer and Glenn H. DeStigter scholar in construction engineering, coached all four teams prior to and during the competition. Construction engineering Professor Doug Gransberg and Associate Professor David Jeong also helped students prepare. 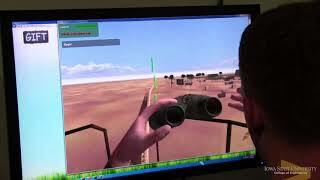 can improve students engineering skill for future and they know that how to do work in pressure.